Last minute flights to Canary Islands: Gran Canaria from Germany for €61! UPDATE 13.3.: last minute flights to Gran Canaria from Germany from only €61! Basel, Frankfurt, Münster, Karlsruhe, Hannover and others! 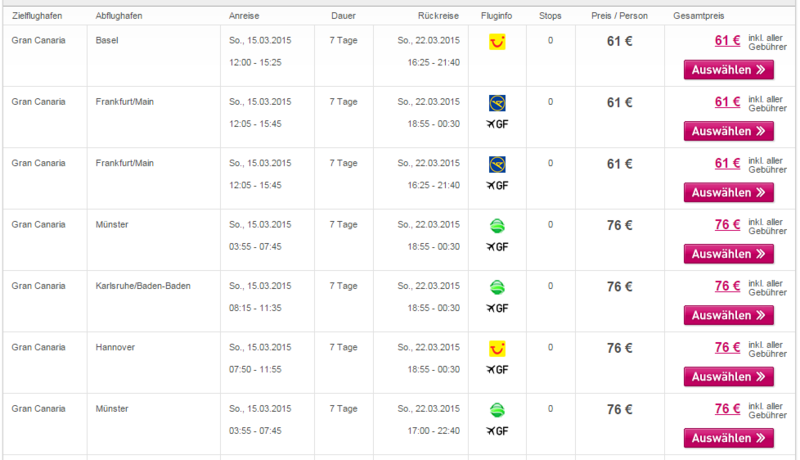 Fixed dates 15.3.-22.3., book here, check screenshot! LTUR now offers really cheap last minute flights to Canary Islands. Return tickets from Munich to Gran Canaria will cost you only €66. 15 kg luggage is also included in the price! 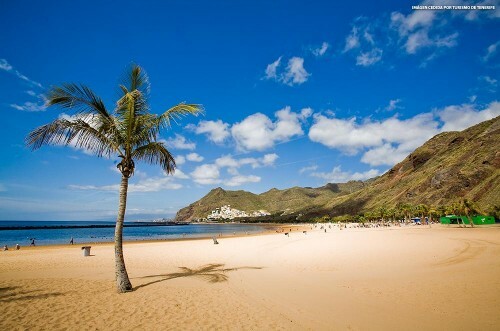 The weather in Gran Canaria is around 16°C today! Book your tickets fast via LTUR! « Vueling March sale: 1 million seats from €34.99!